The Indian Medical Association had called for cancellation of the event a few days ago but organisers said the event will go on as planned. 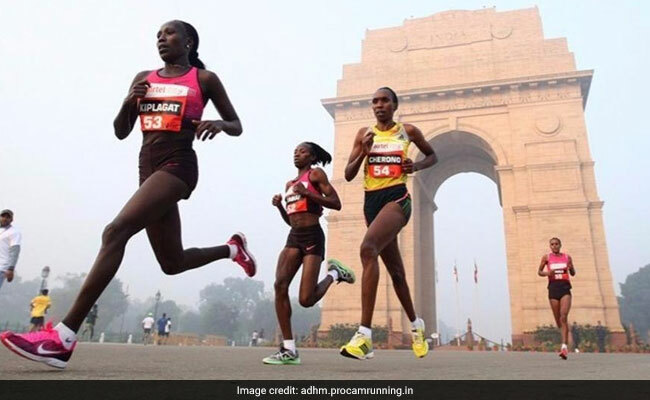 New Delhi: The alarming levels of pollution in the national capital has forced the organisers of the Delhi Half Marathon to consider shifting the event to a new window. "There is a possibility to shift this event to a new window... we may organise the event earlier or later. We have the option of the alternative window. We will discuss with our stakeholders and see which will the best window for the event," said Vivek Singh, Joint Managing Director of the Procam International, the organisers of the event. A few days ago, Airtel, who have been one of the prime sponsors of the event for the last nine years, also threatened to pull out of the annual event citing pollution levels in the city but however, came out in support of the organisers on Thursday. "As always, we will continue to support the event. It is great to see the fantastic response to the call for registration for ADHM," said Ravi Negi, CEO of Bharti Airtel, Delhi NCR. Mr Singh also asserted the foreign athletes have gone back satisfied with the conditions in previous editions of the event. "All foreign participants are aware of the situation and will participate. Last year, Rio Olympic champion Eliud Kipchoge won the event in almost similar conditions and returned without complaints," he said. "You cannot cancel an international event so easily. Athletes are preparing since many months and there is no question of cancelling the event." The Indian Medical Association had called for cancellation of the event a few days ago but Mr Singh said the event will go on as planned. "They have issued a warning and they are right. It is a concern but we still have 10 days to go and air quality might improve," he said. "To reduce the pollutants, roads will be sprayed and treated with salt water and all vehicles will be off roads 12 hours prior to the event, and hopefully improved air conditions will bring better running experience for the participants."